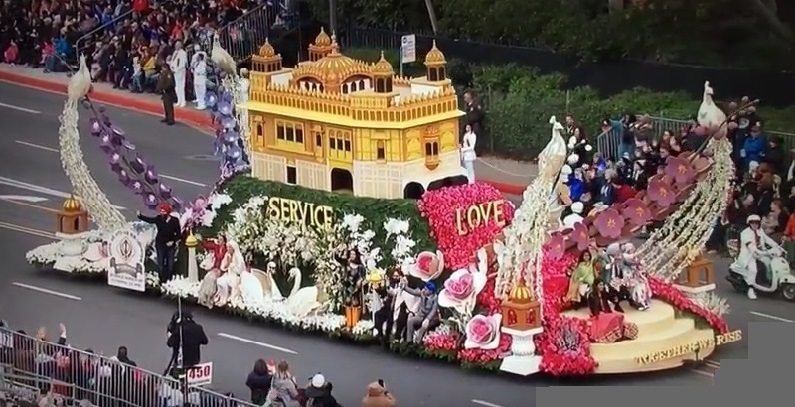 For the third straight year, the NRI Sikh community's float this year was showcase- the most sacred symbol for Sikhs worldwide, Golden Temple, Amritsar, India. Last year the floats have been depicted the Punjabi harvest celebration of Vaisakhi, featuring an image of a Sikh man with a beard and yellow turban riding a white horse accompanied by teams of bhangra dancers. featured a replica of the Stockton gurdwara, the first Sikh temple to be built in the United States, in 1912. The Golden Temple Amritsar India is not only a central religious place of the Sikhs, but also a symbol of human brotherhood and equality. Everybody, irrespective of cast, creed or race can seek spiritual solace and religious fulfilment without any hindrance. It also represents the distinct identity, glory and heritage of the Sikhs. To pen-down the philosophy, ideology, the inner and outer beauty, as well as the historical legacy of Sri Harimandir Sahib is a momentous task. It teaches the lesson of egalitarianism and humility. The four entrances of this holy shrine from all four directions, signify that people belonging to every walk of life are equally welcome. It is house of the world's largest kitchen and serve free food for up to 200,000 - 300,000 people every day. The food is served to all visitors regardless of faith, religion, or background. The NRI Sikh community have been victims of hate crimes, bullying and other negative expressions since 9/11. Sikh men are often targets of hate crimes because of their appearance with turbans and long beards and are mistakenly identified as Muslims. Rose Parade marched safely and the watchful presence of more than 1,000 law enforcement officers. Sturdy barricades were erected at more than 50 intersections to prevent a terrorist attack like ones that happened in Europe. Around 5mile parade featured marching bands, horseback riders and dozens of ornately decorated flower-covered floats. 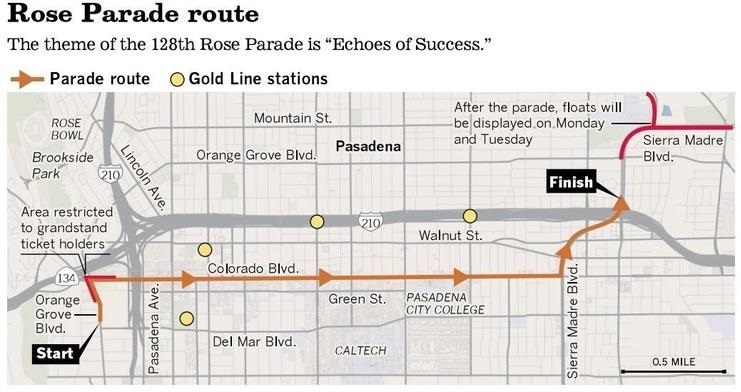 The Rose Parade, is part of "America's New Year Celebration" held in Pasadena, California each year on New Year's Day (or on Monday, January 2 if New Year's Day falls on a Sunday). Above community leaders are back bone Leaders of this project who helped Rashpal Singh Dhindsa of United Sikh Mission to continue and participate in Rose Parade since 2014. Funds for the float have been also raised within the Sikh American community. Police used parked patrol cars at more than 50 intersections and also banned: No drones. No selfie sticks. No umbrellas. The Rose Parade event attracted more than 750,000 people and estimated more than 28 million people around the world watched on TV.